April may be the month of fools, but you can’t pull the wool over our eyes! Picking the right flavour is a very subjective experience and with the launch of VApril vaping is becoming more popular. To help you on your way, we’re proud to present our favourite eliquids of April 2018, as chosen by us. “It’s a fresh and fruity tasting vape, blue raspberry is a flavour that has come along and taken the market by storm; this is a no nonsense version and is reminiscent of those giant ice blast drinks you get at the cinema”. “While it’s reminiscent of cigarettes, this particular mixture has a sweet and nutty layer that works really well with the tobacco base”. “first off it’s got a Viking on the bottle, that’s just very cool! The flavour itself is light and buttery, the cherry is really present on exhale and is a strong fruit taste, but it doesn’t overpower the rest of the juice”. “A light and sweet flavour with well mixed notes of red grape and pomegranate that create a fruity bouquet, the aloe vera provides a really fresh aftertaste. 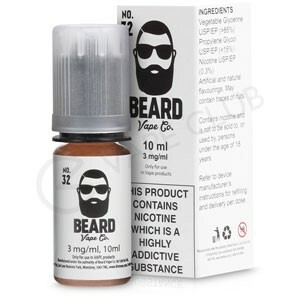 I’ve been vaping it solidly all day; and can see it being very popular over the Summer… so for two weeks in July”. Well there you have it, like we said taste is a very personal thing. Picking the right ejuice is essential to a good vaping experience. Our specially designed Eliquid Explorer can help you pick an eliquid with the best nicotine strength, flavour, and VG ratio for you.